For some its turquoise beaches, while some love the feel of snow and chill in the air, and then there are some who love to soak up the culture of an alien city inch by inch. Everybody lusts after something when it comes to traveling, and hopes to be able to tick it off their bucket list. Here are a few destinations which I think should be on everybody’s lust list and the best part is that getting to these particular destinations isn’t super expensive at all and can be easily achieved with some smart planning! This breathtaking archipelago of 115 tropical islands in the Indian Ocean is what perfect picture postcards are made up of. White sandy beaches, crystal clear waters with rich marine life and tropical forests to make you feel isolated from the rest of the world and yet if required keep you in the lap of luxury! The resort destination caught worldwide attention after Prince Williams and Kate had their royal honeymoon there. But that isn’t the only reason it has caught the fancy of many, it’s surreal beauty makes one wonder if it’s even possible to have something so beautiful and unexploited on Earth. In addition to its pristine beaches and lush tropical islands, Seychelles is home to a variety of birds of paradise including the extremely rare black parrot. 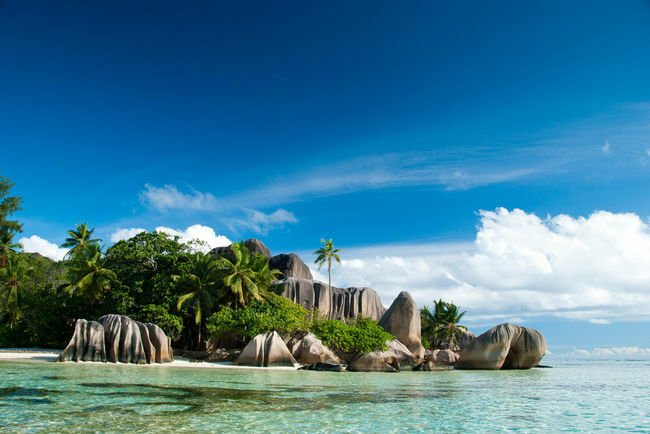 Most popular islands are Mahe, La Digue and Praslin. 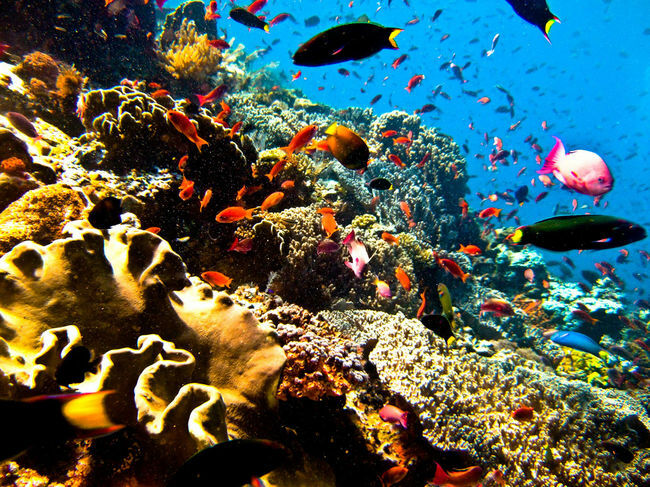 Seychelles is great for a peaceful getaway as well as for diving enthusiasts. The best part is that a short (4.5 hours) and direct flight to Seychelles from Bombay can cost as little as Rs. 35000 for a round trip if booked in advance! Take gorgeous beaches, pretty islands, a dormant volcanic mountain and exotic wildlife and roll them all into one and you get Tanzania! This African delight is home to the famous Mt. 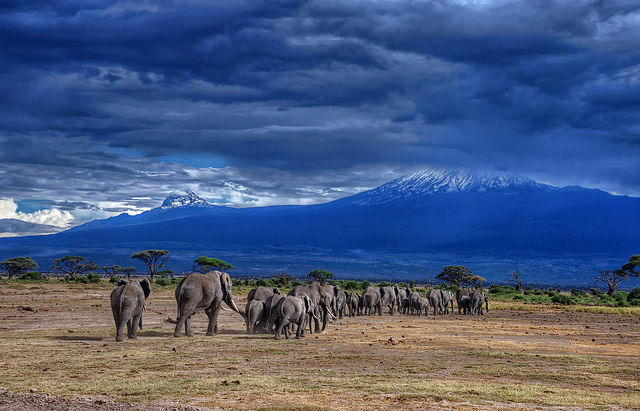 Kilimanjaro, the archipelago of Zanzibar, the Serengeti National Park and the Ngorongoro Conservation area amongst other such beauties of nature. A holiday here is an absolute must for people who love to surrender to nature, as here you can have the best of all worlds; the beaches, the mountains and the wildlife. A safari in the vast expanse of Serengeti is a must if you want to spot the gorgeous African lions, zebras, giraffes, elephants etc, as is a visit to the many islands that form Zanzibar, and if you are looking for some more adventure then how about climbing to the summit of Mt. Kilimanjaro?! Once again the most delightful news is that air tickets to Dar-es-Salam from Bombay can cost below Rs. 35,000 for a round trip. Another super affordable beach destination is Bali in Indonesia. From rich marine life to being one of the best spots int he world for surfing, a return trip to Bali from India can cost as low as Rs.35,000 if booked a couple of months in advance. In addition to being so delightful, Bali has some serious options for nightlife as well. The very laid back chilled out vibe of Bali will put you right into vacation mode the moment you step out of the airport. Bali is also popular for its famous dive spots, people from all over the world visit Bali just so that they can dive at these sites. For those looking to get a remote island experience the Gili islands will more than suffice. For the more adventurous type, there is always that sunrise trek to an active volcano, and in this case it happens to be Bali’s popular active volcano Mount Batur. For me Ladakh happens to be one of the most beautiful places on earth if not the most beautiful. 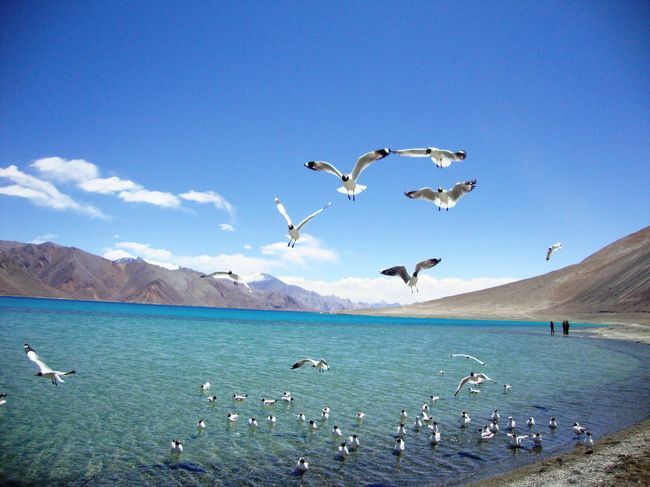 Of late, Ladakh has gained popularity as one of the must visit destinations in India and year after year it is seeing a slow and steady rise in the number of tourists visiting it. The beauty about Ladakh is that in addition to giving us a beautiful view of the Himalayas, it also gives us many other breathtaking experiences with its numerous places of interest such as Nubra Valley, Pangong Tso, Tso Moriri, Kargil, Diskit, Zanskar Valley etc. If you are more of a wildlife enthusiast, Ladakh is known to be one of the few places in the world to be the home to the reclusive and extremely rare snow leopards. You can opt for a snow leopard trek, and if lucky can actually spot this magnificent creature. Many enjoy the road trip to Leh from Delhi, for other there is always a flight from Delhi that reaches Ladakh in less than 2 hours at a cost of Rs. 8000 for a return fare. On a round trip fare of Rs. 35000 you can guaranteed feel like Lara Croft, how badass is that! Cambodia’s ancient temple ruins were where major interesting portions of the Angelina Jolie starrer Lara Croft: Tomb Raider were shot. 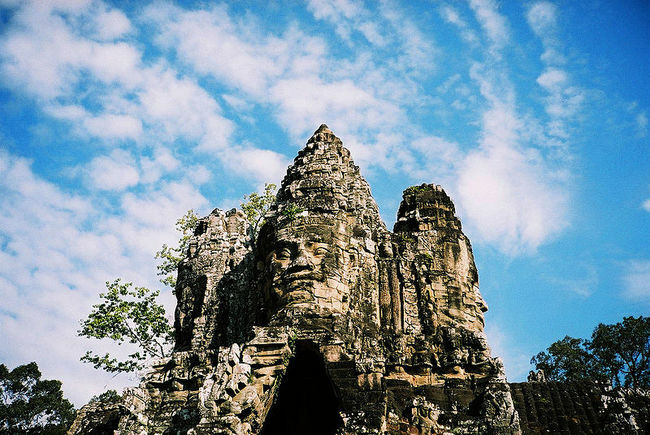 Head to the Angkor Thom temple complex in Siem Reap to get a first hand Lara Croft experience and the eerie beauty of the ruins are sure to leave you spellbound. While in Siem Reap, do make it a point to visit the world famous Angkor Wat which also happens to be the largest religious monument in the world. Once you are done exploring the temple complexes its time to head to over to Ream National Park to spoil yourself with virgin beaches, boat rides through mangrove forests and indulge in some bird watching where you will be able to spot some endangered birds such as the Brahminy Kite, Milky Stork and Painted Stork. This may nto be the luxurious type of a getaway but will definitely be worth a visit. So pack your bags, book that ticket and tick these off your list!